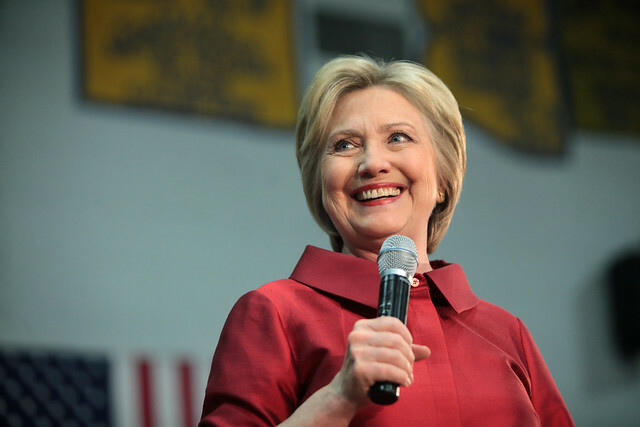 Hillary Clinton spoke to the National Baptist Convention in Kansas City this week. According to The New York Times, there was at least one notable moment during her speech, one that has been generating quite a bit of attention among atheists in the U.S.
Great. This would seem to disqualify most atheists from the office. Isn't this precisely the sort of religious bigotry of which Clinton has accused her opponent? Or is it just that atheists are fair game while Muslims must be shielded for some reason? Is there any evidence that this has helped the plight of Blacks in the U.S.? I didn't think so. Perhaps this is just another example of Clinton's willingness to say whatever her particular audience wants to hear in whatever accent she thinks they'd prefer to hear it in. Then again, given other recent comments from her campaign and her reported history of involvement with a powerful and secretive anti-democratic Christian extremist group, I'm not so sure. Here is what the Secular Coalition for America had to say about Clinton's speech. I wonder if they will change their "A" rating of her before the election. I also wonder if they will bother to provide the public with any information on the two less objectionable candidates running for the presidency, Gary Johnson and Jill Stein. I certainly hope so.